Great service. Ordered on the weekend - arrived on Tuesday. We have an e-commerce business ourselves in Europe, so we appreciate the processes that are put in place and the stock holding required to achieve this level of service that makes buying online more convenient than the hassles of conventional shopping. Also saved a fair bit on the purchase price compared to traditional retailers but the key thing is knowing when the goods are likely to arrive. Not sure we can review the cable. It just works and is the right length which is all we need from a cable! Keep up the good work. A long 5m USB Mini-B Cable - perfect for charging your PS3 DualShock wireless controller while playing! Why do companies make it so darn difficult to get replacement or additional cables for their new-fangled gadgetry? Can't they just use something tried, true, tested and terrific? Like this 5m USB 2.0 Hi-Speed Cable (A Male to Mini-B 5 Pin Male). It's small, it's rugged, it looks great and it goes fast. They're fully rated for USB 2.0 transfer rates at up to 480Mbps, making them great for saving your digital pictures to your PC or synching your music database with your PDA or compatible phone. 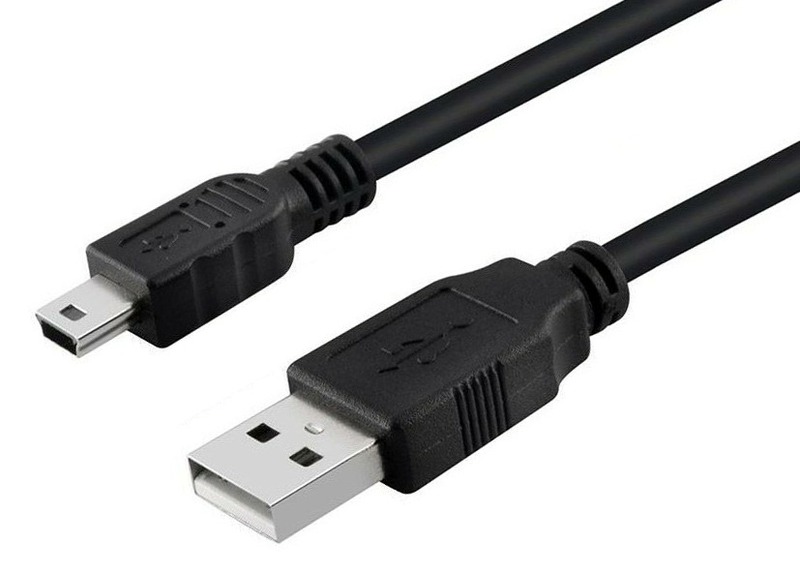 This 5m USB Type-A (Male) to USB Mini-B (5-Pin Male) Cable is commonly used for charging and data transfers for devices with the USB Mini-B 5-Pin Socket. Often found on some model digital cameras, MP3 players and other electronics. Also used as a PlayStation 3 (PS3) game controller charging cable. Inside the subdued beige cable is the same foil and braided shielding from our other premium USB cables, with twisted pair construction and error-free performance that is backwards compatible with USB 1.0 and 1.1 as well as 2.0. You can't go wrong with this cable! 5 Meter USB 2.0 Premium Cable (USB Type Changer). USB A Male to USB Mini-B 5 Pin Male. Transmission Speeds up to 480Mbps. Shielded for minimal data loss. Durable construction for rugged applications. Suitable for all USB devices including USB-powered peripherals. Cable Chick Tip: Not all current mobile phones or cameras have Mini-B 5 Pin USB ports, so check your device manual for compatibility before purchase. Compatible with the SONY PSP and PlayStation 3 wireless Controllers! Perfect for smaller devices like Digital Camera's and PDA's! This 5m USB Type-A (Male) to USB Mini-B (5-Pin Male) Cable is commonly used for charging and data transfers for devices with the USB Mini-B 5-Pin Socket. Often found on some model digital cameras, MP3 players and other electronics. Also used as a PlayStation 3 (PS3) game controller charging cable. Arrived safely and quickly thank you.